Yale University Press, 9780300186512, 275pp. When Syrian President Bashar al-Assad came to power upon his father's death in 2000, many in- and outside Syria held high hopes that the popular young doctor would bring long-awaited reform, that he would be a new kind of Middle East leader capable of guiding his country toward genuine democracy. David Lesch was one of those who saw this promise in Assad. A widely respected Middle East scholar and consultant, Lesch came to know the president better than anyone in the West, in part through a remarkable series of meetings with Assad between 2004 and 2009. Yet for Lesch, like millions of others, Assad was destined to disappoint. In this timely book, the author explores Assad's failed leadership, his transformation from bearer of hope to reactionary tyrant, and his regime's violent response to the uprising of his people in the wake of the Arab Spring. Lesch charts Assad's turn toward repression and the inexorable steps toward the violence of 2011 and 2012. 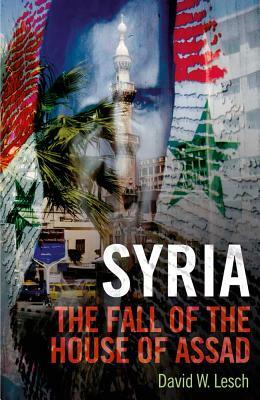 The book recounts the causes of the Syrian uprising, the regime's tactics to remain in power, the responses of other nations to the bloodshed, and the determined efforts of regime opponents. In a thoughtful conclusion, the author suggests scenarios that could unfold in Syria's uncertain future. David W. Lesch is professor of Middle East history at Trinity University. He lives in San Antonio, TX.